Owning your style is a discipline that takes a little bit of work, but it’s also a powerful expression of who you are: a complex woman who’s constantly learning, changing and growing (in age and in mind!). Use your style as a way to nod to who you are. Are you bold? Are you subtle? Are you feisty on the inside and quiet on the outside? With the right tool kit of tips and tricks you’ll be well on your way to dressing for the woman you are right now, will be tomorrow, the next day and all through your 40s. This is a time when you can and should be aware of what to accentuate—and what not to. If you’re unsure how to dress for your body (whether it’s changed since high school or not), take some time to do that. Then, wear what looks and feels great. Seek out pieces that fit beautifully and when in doubt, splurge on a great tailor. Clothes always look best when they fit you perfectly. Whether you’re happy in your comfort zone or doing a complete style overhaul, take some risks. We don’t mean dive head first into every trend you see, but it’s okay to shake things up a bit. Owning your style, means exploration! So, explore new colors, prints or even try on a bodycon dress for a night out. Give yourself permission to push the boundaries of what you think you should wear. If you do find that you’re stuck in a rut or aren’t feeling quite like yourself in your clothes, go online, flip through magazines, look at women you admire on the street or at work, and then start to emulate their style. Eventually, you’ll hit a sweet spot where you’ll just be dressing for you. There’s nothing better than self-confidence and a daily affirmation of, “I am amazing.” In fact, those are the only words you need to create the reality and style that best suits you. When you walk into a room, people see you first. Not your outfit. So, focus on that inner brightness and we guarantee your style will follow. Just like you, your style will continue to evolve. Even if you’ve found your stride, think of dressing yourself everyday as not only an expression of who you are, your mood, your vibe, but also something that can constantly be tweaked, improved or updated. Whether it’s a black leather jacket, a classic trench or something cropped and tailored like a white (or navy) blazer, optimize your outerwear in a statement jacket that fits you like a glove. The keyword here is: timeless. Accessorizing is the perfect way to evolve your style. If you just know that your comfort zone is within a certain parameter, try experimenting with shoes and handbags instead. Now is the time to up your accessories game (read above). And, you deserve a new purse. Consider a high-quality leather that can carry your essentials, but still transitions well from day to night. Another tip? Look for versatility—does it have multiple strap options like a top handle and convertible crossbody option? Sold. The LBD is the only piece in your wardrobe that gets its own acronym. Invest in a little (or long) black dress that you can wear to events like: weddings, family dinners, work events, and even impromptu nights on the town with your girlfriends. There are so many new denim options out there that use mind-blowing technology to offer women the right fit, so you shouldn’t feel limited to old jeans, old stretch and old styles. 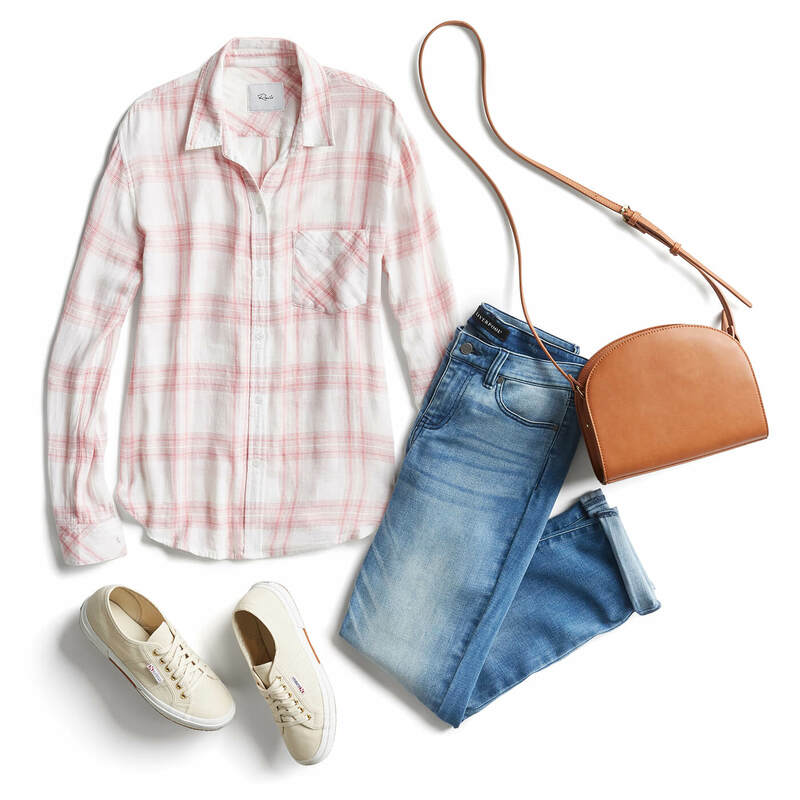 Invest in taking the time (or asking your Stylist) for different denim silhouettes and don’t be afraid to try on new washes, rises and lengths, too. Parting can be such sweet sorrow (Thank you, Shakespeare. ), but in terms of closet clean-out, it should be the opposite. Here is a quick list of the things you should ditch before the next decade. Clothing that doesn’t fit: You know better than this! Flip flops: Ok, you can save them for the beach or a pedicure, but please don’t wear them on the street. Anything that reminds you of the X decade: Trends come and go, but unless you collect vintage as a hobby, ditch the duds that give you high school feels. 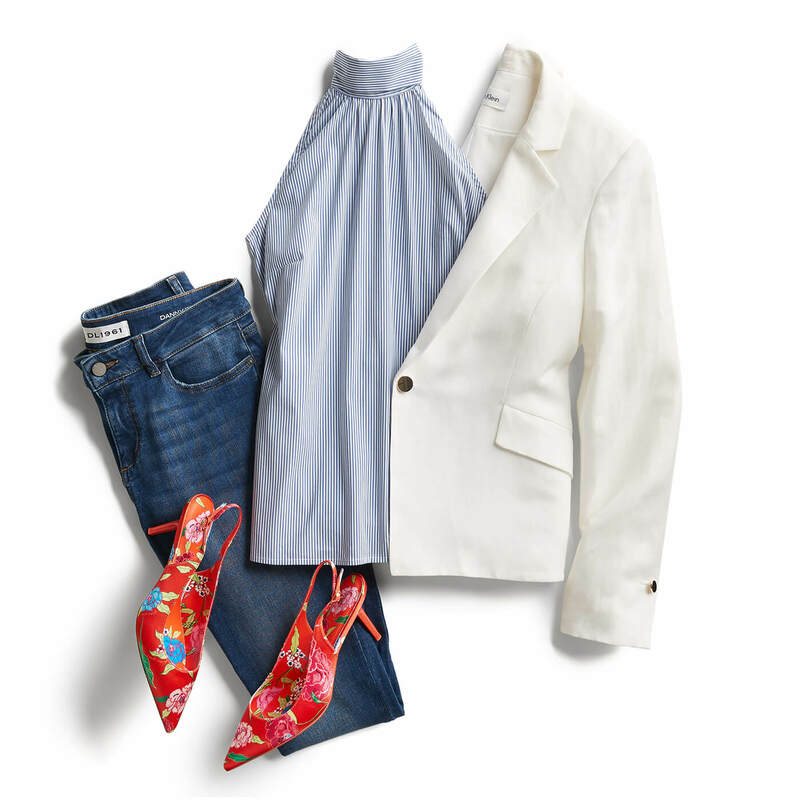 Items you haven’t worn in over a year: See our Closet Cleanse for good measure. 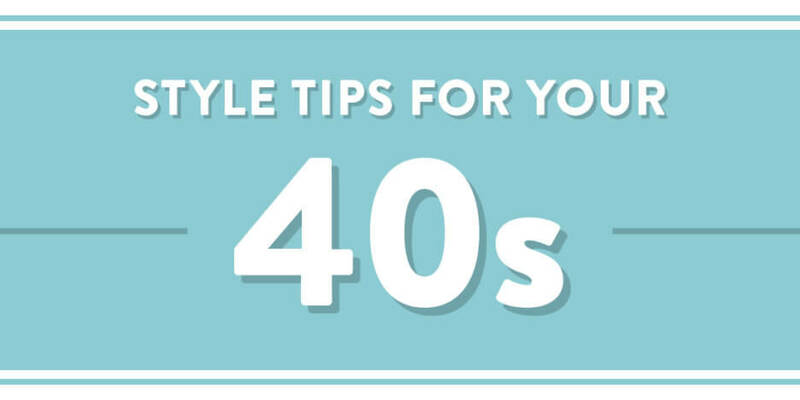 Have tips of your own for dressing in your 40s? Tell us and your fellow style mavens!